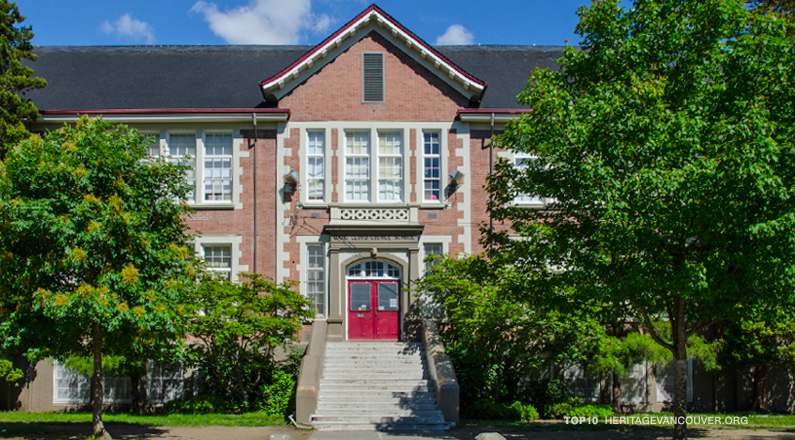 David Lloyd George School (8370 Cartier Street) is a significant historical landmark in the Marpole community. The original Classical Revival school was designed by prominent school architects Twizell, Birds & Twizell in 1921, and a modernist, two-storey wing includes a gymnasium structure that was added in 1954. The school is significant for its aesthetic, historical, social and educational values. 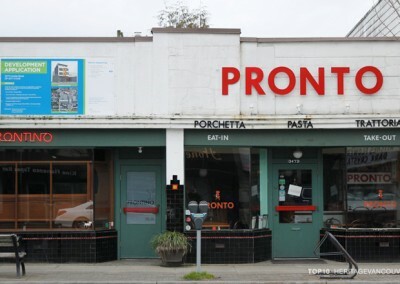 The structure represents growth in the Marpole community and is a superior example of architectural design. 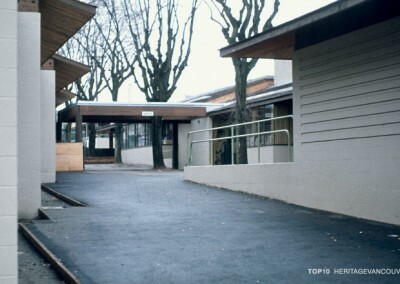 Seismic upgrading for this school is required, and despite it being one of the most significant heritage buildings in the Marpole community – rated “A” on the Vancouver Heritage Register – Education Minister Rob Fleming announced on January 15, 2018 that the Province of British Columbia would fund replacement of the existing school with a seismically safe building. 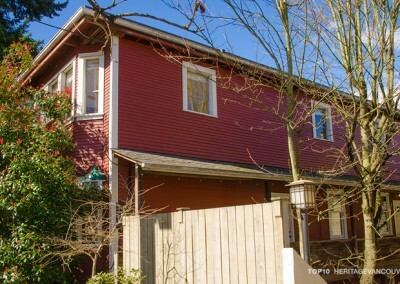 The immediate threat to Vancouver’s heritage schools is the provincial seismic mitigation program and the way it is being implemented by the Province and the Vancouver School Board. Since the late 1980s, the Ministry of Education has acknowledged the need for seismic upgrading to public schools to provide for public safety in the buildings. To date, over 150 seismic upgrade projects across British Columbia have been completed or construction is underway. The immediate threat to David Lloyd George has increased significantly this year. In January 2018 the current Minister of Education made an announcement, standing in front of the school, that a new structure would be built on the property and the current school would be demolished. The previous provincial government’s policy was to fund the seismic upgrading of a heritage school only if the cost was less than could be achieved through demolition and a new building. 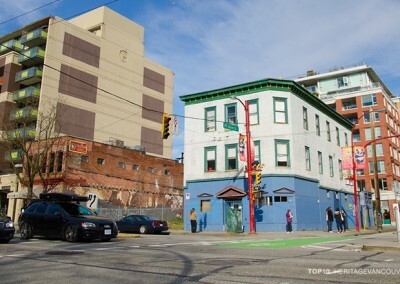 The costs for upgrading the schools is significantly inflated, because for years the Vancouver School Board has deferred maintenance on these buildings. There is a need for architects, heritage professionals and engineers with seismic expertise to be involved in the early discussions, before a decision has been made to replace the school. Further, the VSB Heritage Consultation Committee that was formed in 2016 with members of the heritage community and city planners had not met for a year and the new Vancouver School Board have dragged their feet on meeting with this committee, all of whom have the expertise listed above. This Committee, which finally met in mid-March, advised the Board to go back to the new provincial government to explore all options rather than defaulting to demolition for this important school. Many other communities, including Victoria – with its many heritage schools – have managed to seismically upgrade their schools without resorting to widespread demolition. Vancouver needs to do the same. The loss of this significant heritage school would be a loss to the whole city and leave a gaping hole in the community fabric of Marpole. Lloyd George Elementary School is significant for its aesthetic, historical and continued social values. 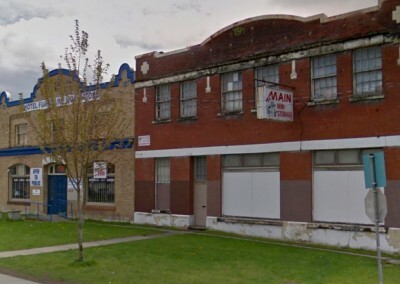 This 1921 brick building is a highly visible landmark in the neighbourhood, and one of Marpole’s few surviving public buildings with historical value. Designed by prominent architects Twizell, Birds & Twizell, this building is a fine example of a Classical Revival brick school constructed after World War I. The building has a symmetrical, single-corridor plan with classrooms along each side (referred to as a ‘Barbell Plan’). The main roof form is hipped, with end and centre gables. 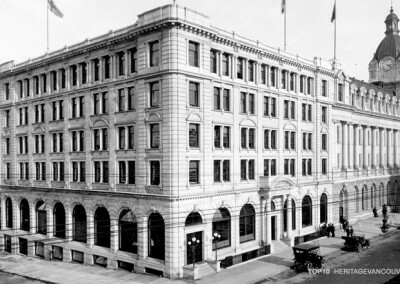 Building materials and methods are representative of 1920s schools in Vancouver, as seen in architectural elements such as: concrete post-and-beam skeleton, poured-in-place concrete flooring overlaid on structural clay tiles, brick cladding and a wooden roof structure. 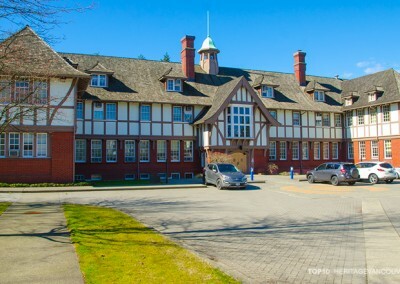 All these details are common to schools by Twizell, Twizell & Birds in Vancouver, including: Shaughnessy, Kitchener, Edith Cavell, Kerrisdale and Queen Mary. 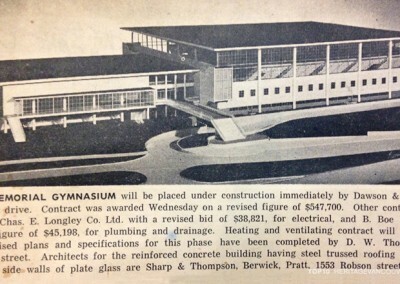 The school’s auditorium addition, 1954, is significant for its association with influential modernist architect, Duncan McNab. 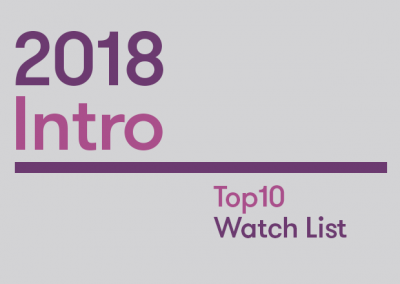 He initially worked for Thompson, Berwick & Pratt, and founded his own practice in 1949. Soon afterwards, the provincial Department of Education hired McNab to create standards for school design and construction. His 1954 addition is an example of contemporary style, seen in such features as a flat roof with glulam structure, board-formed concrete walls, and horizontal bands of windows with inset glass block. Heritage Vancouver supports the retention and upgrade of David Lloyd George Elementary’s original 1921 building. 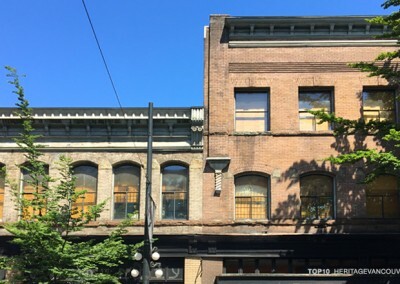 We encourage VSB to both hire a heritage professional to prepare a Conservation Plan before any seismic options are considered, and engage the Heritage Consultation Committee at every phase in the process. • Vancouver Daily World, 22 Sept. 1921, p3, descrip.